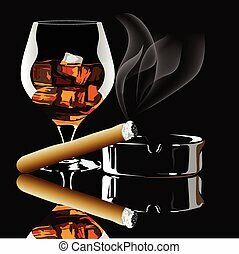 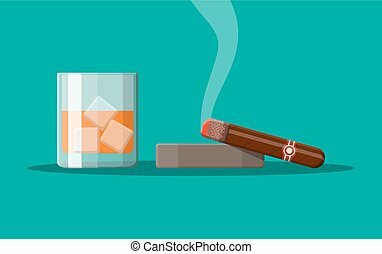 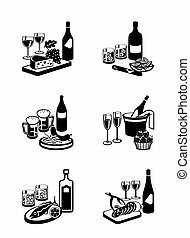 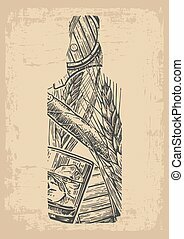 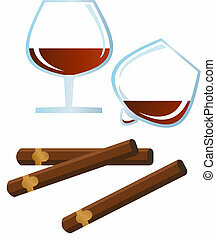 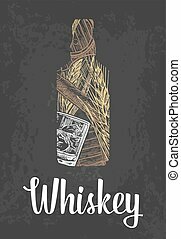 Cigar and alcoholic drinks vector illustration isolated on white background. 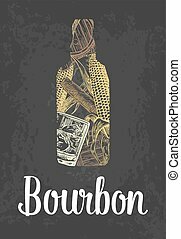 Vector set of bad habits posters. 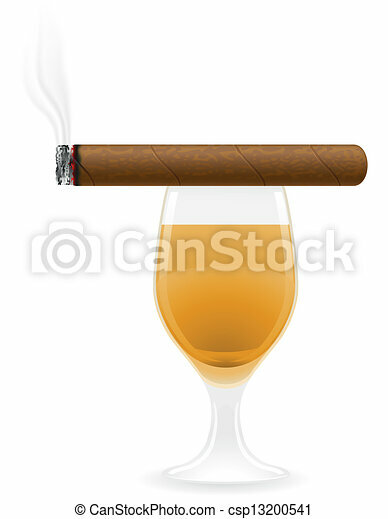 Alcoholic, Marijuana, Cigars and Gluttony concept flat style design elements. 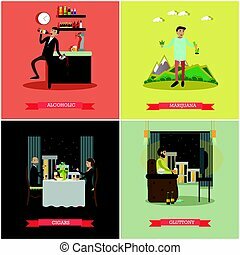 Vector set of people with bad habits isolated on white background. 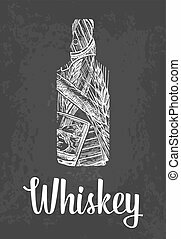 Alcoholic, addicts, tobacco smokers, tramp, tv zombie flat style design elements, icons. 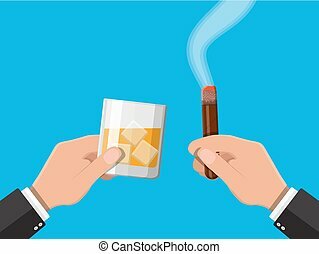 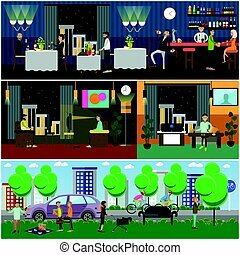 Vector illustration of people having bad habits. 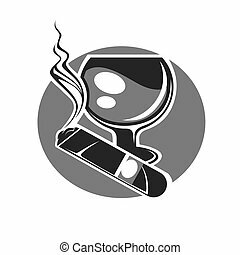 Tobacco, narcotic, TV addiction and alcohol abuse, drug trip concept design elements in flat style.